According to a celebrity brow expert. 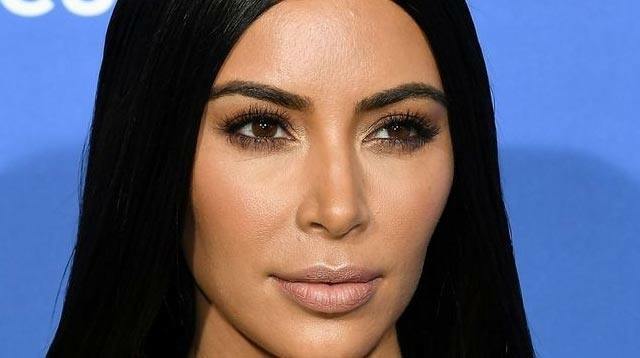 When it comes to nailing perfect eyebrows, if anyone knows what's up, it's the woman behind make-up mega brand Anastasia Beverly Hills, and Kim Kardashian's go to brow guru, Anastasia Soare. The inventor of the legendary Anastasia Beverly Hills brow pomade and a fountain of precious brow knowledge, when Anastasia Soare gives you tips on what not to do to your eyebrows, you listen in, take notes, and refer to them as life mantras. Or, if you're less intense than us, just you know, bear them in mind. Speaking to InStyle at the COSMOPROF Beauty Convention in Las Vegas, Anastasia shared her three things you should never do to your eyebrows if you want them to look more red-carpet Cara Delevingne than 2001 Kylie (Minogue, obvs). 1. Put the tweezers down. "You know what the biggest mistake that I see? Women are tweezing their eyebrows overall, thinking that they get a higher arch," Soare explained. "And that's not the case. The eyebrow needs to be long." Brow Lesson To Learn: Short, squat eyebrows that look like they're flying off your face are not the one. 2. Never fill from the top. Speaking to InStyle, Anastasia revealed that you should always fill in your eyebrows from the bottom, not the top. Starting from the middle of your eyebrow, work your way out to the edges as the end of your eyebrow can handle more pigment. Keep the front of your eyebrow more natural-looking with a lighter color and, "Always try to be very light-handed and you could always build up." Brow Lesson To Learn: Swap Instagram eyebrows that look painted on for natural-looking brows that are multi-tonal. 3. Don't go overboard with the brow products. While Anastasia stressed the importance of using a decent eyebrow pencil, the make-up pro has another go-to product for perfect brows: clear brow gel. After filling in her own brows with a pencil, Anastasia goes on to use a clear gel to hold those babies in place. Brow Lesson To Learn: Less is more when it comes to brow products. A pencil and clear brow gel are more than enough to keep them looking on fleek.